Richard James has been a dedicated volunteer with PIN, The People and Information Network (formerly the Volunteer Centre of Guelph Wellington) since 2005 but was very aware of the organization’s inception in 2001 through his solid knowledge of community happenings; always a supporter, Richard popped in the office to learn more. 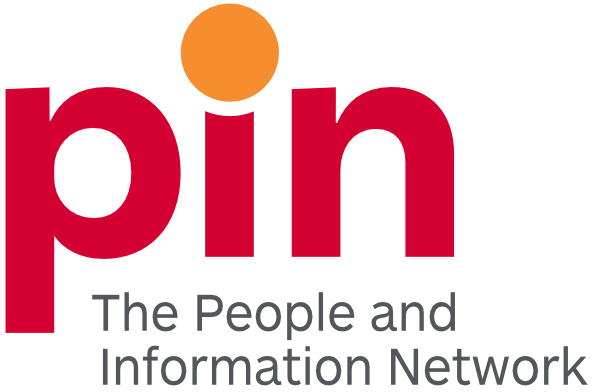 Not only did he learn more, Richard has become one of PIN’s greatest ambassadors. “Whether it is distributing promotional material or hosting a display booth, he always presents in a friendly, professional manner.” says Emily Vincent, Program Coordinator. 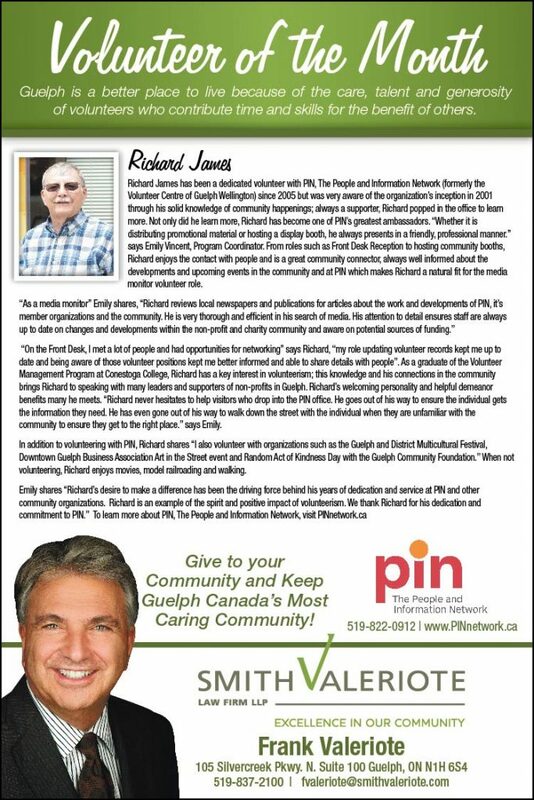 From roles such as Front Desk Reception to hosting community booths, Richard enjoys the contact with people and is a great community connector, always well informed about the developments and upcoming events in the community and at PIN which makes Richard a natural fit for the media monitor volunteer role. “On the Front Desk, I met a lot of people and had opportunities for networking” says Richard, “my role updating volunteer records kept me up to date and being aware of those volunteer positions kept me better informed and able to share details with people”. As a graduate of the Volunteer Management Program at Conestoga College, Richard has a key interest in volunteerism; this knowledge and his connections in the community brings Richard to speaking with many leaders and supporters of non-profits in Guelph. Richard’s welcoming personality and helpful demeanor benefits many he meets. “Richard never hesitates to help visitors who drop into the PIN office. He goes out of his way to ensure the individual gets the information they need. He has even gone out of his way to walk down the street with the individual when they are unfamiliar with the community to ensure they get to the right place.” says Emily. In addition to volunteering with PIN, Richard shares “I also volunteer with organizations such as the Guelph and District Multicultural Festival, Downtown Guelph Business Association Art in the Street event and Random Act of Kindness Day with the Guelph Community Foundation.” When not volunteering, Richard enjoys movies, model railroading and walking.